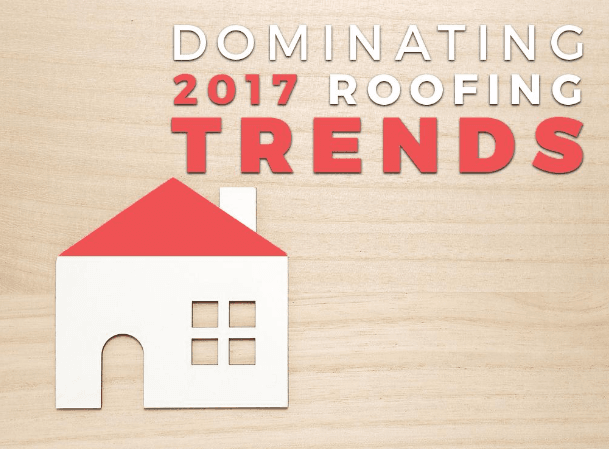 Dominating 2017 Roofing Trends - Eldridge Roofing & Restoration, Inc.
Asphalt shingles have been a staple roofing option for decades, and remain the most common roofing material in America today. Their low maintenance nature, ample availability, and relative affordability have made them a favorite among many homeowners. Asphalt shingle roofing is also extremely durable, allowing it to withstand harsh elements to give you many years’ worth of protection. Another bonus is that this roofing type is very lightweight, making it easy and inexpensive to install. Asphalt shingles are also quite versatile from a design perspective, compared to other roofing materials. As a GAF Master Elite™ contractor, we offer the brand’s premier shingle selections, such as Timberline® Lifetime Shingles. When you work with us, you are guaranteed beautiful, high-quality shingles and a flawless installation. Another roofing material that’s taking 2017 by the storm is metal, thanks to its exceptional durability and weather-resistance properties. It features tough panels and minimal seaming, allowing it to withstand sun and rain. It can also outlast harsh winds that go as fast as 140 miles per hour. It is resistant to rusting, fading, and rotting as well. With proper maintenance, this roofing option generally can last for 50 years.Another reason homeowners are increasingly choosing metal is because it’s sustainable. Metal roofing systems are popularly referred to as “cool roofs” due to their premier energy efficiency qualities. They effectively reflect solar radiation, which helps maintain a comfortable temperature within your home and reduces your utility costs. In addition, metal roofing is low maintenance, which will save you money and effort on repairs and maintenance over the years. Call us today at (281) 816-6006 or complete our form to learn more about great 2017 roofing trends. We serve Houston, Conroe, and Katy, TX.